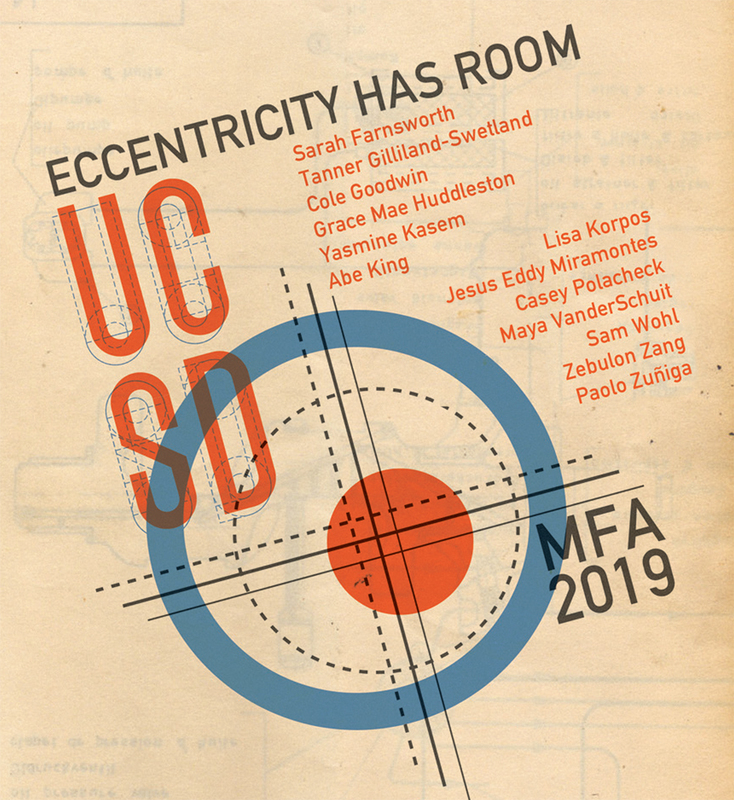 Eccentricity Has Room: Artists from the MFA Program at UC San Diego is co-curated by Art History Theory and Criticism PhD Students Erika Barbosa and Viona Deconinck with MCASD Assistant Curator Anthony Graham. Gallery Hours: April 17, 19, 24, and 26; 12-3 p.m. Reception: April 26, 2019, 5-7 p.m.
By mining different modes of perception and engagement found in natural forms, natural history, and evolutionary psychology, Polacheck seeks to understand how looking, metaphor, and creativity are studied and expressed outside of exclusively human orders. April 25, 2019, 7-9 p.m.
Carolina Montejo "Leffas: Small Fusion"
April 26, 5 p.m., 6 p.m.
April 27, 3 p.m., 4 p.m.
April 30, 5 p.m., 6 p.m. Reception: April 26, 5:30-7:30 p.m.
Leffas: Small Fusion, is an experimental science fiction film in which plant and human worlds are mystically combined. Gallery Hours: April 24, April 26, May 1, May 3; 12-3 p.m. Reception: April 26, 6-8 p.m.
Jihad of Bitter Petals are works questioning what it is to be caught between the struggle and submission and the merger of Queer and Islamic Identities in a single body. April 25-26, 2019, 12-3 p.m.
May 2-3, May 6-10; 12-3 p.m. Reception: May 10, 2019, 6-9 p.m. The Community Bee Clinic is a radical veterinary practice and participatory multimedia installation where visitors can become emergency caregivers for dying honey bees. 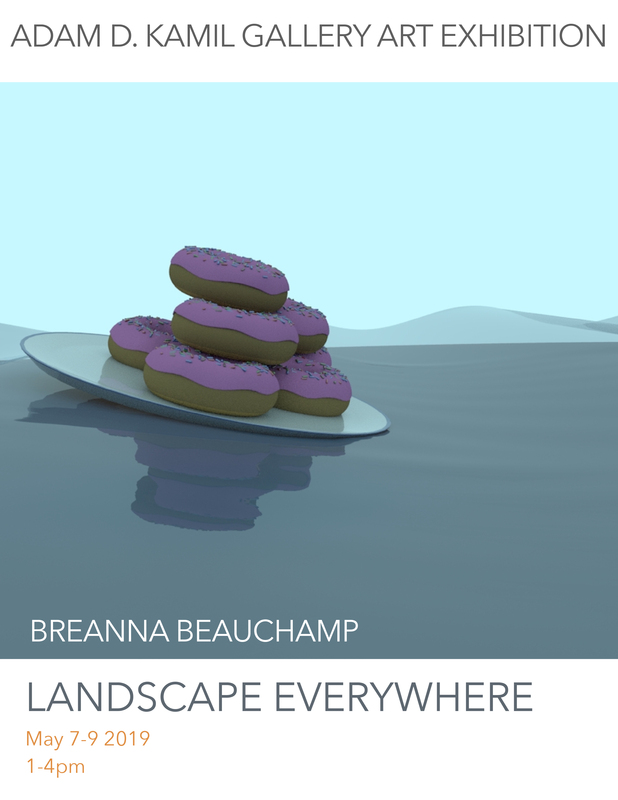 May 7-9, 2019, 1-4 p.m.
From the distant horizon to the humble donut, deep meaning can be found in the still things, if one knows where to look. The collection traces the artist’s diverse exploratory history of mediums and technique, from traditional watercolor painting to 3D renderings. May 23, 2019, 5:30-8:30 p.m. The Kamil family, Department of Visual Arts, and Division of Arts and Humanities at UC San Diego invite you to the 9th Annual Adam Douglas Kamil Media Awards Reception. 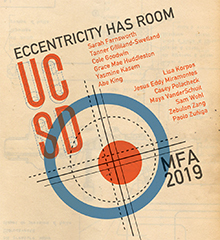 Please join us for an evening of film and creativity to honor the memory of Adam Douglas Kamil and showcase the talent of undergraduate UC San Diego students. UG Alumna Kim Garcia's solo exhibition at Best Practice in Barrio Logan opens Sat, Mar 16, 6-9PM. The show is on view through Apr 13. MFA Alumna Nina Katchadourian at the Fridman Gallery in Manhattan on Thursday, Mar 7, 9:30-11PM. The show is on view through Mar 31. Professor Emerita Faith Ringgold mentioned on The Manhattan Times News' "An Exhibit on Endurance"
Various alumni featured in "GRAY MATTER" at A SHIP IN THE WOODS. Show opens Jan 12. Professor Teddy Cruz mentioned in "Breaking Ground on the Newest Cross-Border Community Station"
Pinar Yoldas and MFA Alumna micha cárdenas, PhD featured in "Refiguring the Future exhibition opening February 8th, 2019 "
Professor Emerita Faith Ringgold and MFA Alumni Hung Liu and Lorna Simpson featured in "Loud Silence" at the Wilkes University's Sordoni Art Gallery and is on view through December 16. PhD Alumna Mariola V. Alvarez book "New Geographies of Abstract Art in Postwar Latin America"
MFA Alumna Carrie Mae Weems featured in New York Times: "How Carrie Mae Weems Rewrote the Rules of Image-Making"
MFA Alumna Carrie Mae Weems Featured in Nona Hendryx's created "Refrigerated Dreams", an immersive multimedia installation and concert transforming Joe’s Pub in New York. MFA Candidate Abe King Featured in the "OPTICAL" LACDA exhibition on view through November 2nd. Assistant Profressor Pinar Yoldas included in exhibition that explores the long-term effects of plastics "Plastic Entanglements"
The Criterion Collection presents "Through Her Eyes: A Conversation with Babette Mangolte"
Professor Emeritus Eleanor Antin in Exhibition "Aktion: Conceptual Art and Photography (1960-1980)"
Professor William Tronzo co-organized the international conference "The Palace Unveiled"
Professor Amy Alexander and Curt Miller debut performance of Utopian Algorithm #1 and version 2.0 of PIGS (Percussive Image Gestural System) at international conference "Live Interfaces"